Let’s face it – Commuting can be a nightmare. Seemingly infinite price hikes, delays to trains, crammed tubes and congested roads dominate the ways of getting to work. The commuter misery is real. But, what if you could transform this part of the day from a chore to a pleasure? Enter the eBike. The clean, green and incredibly cheap to run machines will revolutionize your way of getting around. The freedom and benefits an eBike offers is truly unsurpassed! “Ever thought about an electric bike? Move from thought to action. Owner of the Moustache Friday 27. The best damned upgrade I ever made, one of the best things I’ve ever bought. said goodbye to lycra, now cycling around town and commuting is literally and metaphorically no sweat. The build of these bikes mean that they’re solid, comfortable and they swallow up potholes and bad roads. 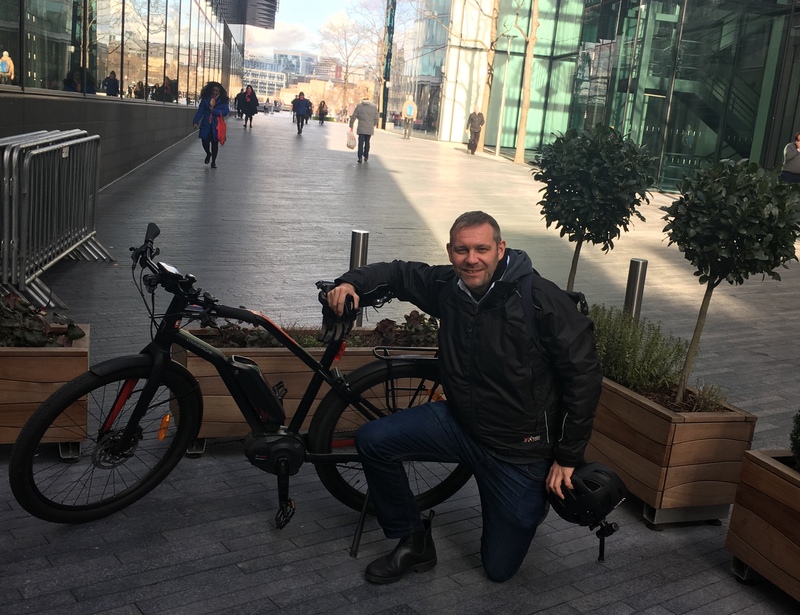 Fully Charged have a brilliant range and exceptional knowledge, the bikes are just awesome.” – Peter Holbrook, Social Enterprise UK. Did you know, studies have shown it’s healthier to ride an e-bike than any other method of transport? With the option to not work up a sweat every time you ride, you’re likely to end up riding more. Despite the hype of ‘cheating’ echoing from the middle-aged men in lycra, you have to pedal, meaning you can get a solid workout with the power at your disposal. Also, in heavily polluted areas you can save your breath by cranking up the assistance. With London reaching its toxic air pollution limit within 1 month in 2018, it’s beneficial not to take deep inhaling breaths while in pollution hot spots. Road welfare is a big topic in cycling. A core benefit of commuting on an e-bike in the city is the ability to flow with traffic. Using the power to quickly get up to speed is great for joining traffic. Also, eBikers may be less inclined to speed through red lights. Instead of constantly wanting to maintain speed, you can enjoy getting back up to pace with the smooth power of your eBike. eBikers can afford an ergonomic and upright riding position. The need to be streamlined is negated by the electric motor, and whilst in an upright position you are more aware of your surroundings. This position also reduces strain on your wrists and back and focuses the energy through your core and legs. 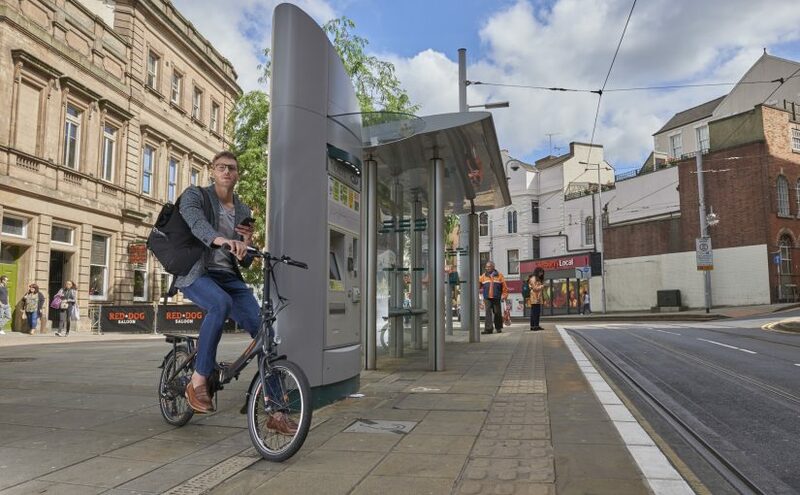 Enjoy free parking, free congestion, free road tax and cycle to work scheme benefits. Compared to the cost of a car, tube or taxis, it works out far cheaper over 2 years, and you’ll end up owning an awesome eBike! Cut the traffic. With the growing cycling infrastructure, you can maintain speed on cycle highways, cycle lanes and bridleways. The freedom to go from a to b without having to compromise finding parking spaces or walking from tube stations will certainly save you time. Feel the wind in your face instead of someone’s armpit on the tube! Riding an eBike is a magical feeling, it’s like flying! Think of the smiles, the exercise and the relaxation all while contributing to a cleaner, free flowing city. You can call us biased, but we believe an eBike is the best means of personal transport for cities in the world! Want to try one out? Visit our Central London showroom for free-test rides and consultations.